Step right up! Come one! Come all! Hurry! Hurry! Hurry! We've got freaks! We've got geeks! We've got feats of strength! We've got things mother nature never intended! We've got prestidigitation! We've got it all, and just for a couple dollars you can see it for yourself! Seating is limited, so you better hurry! 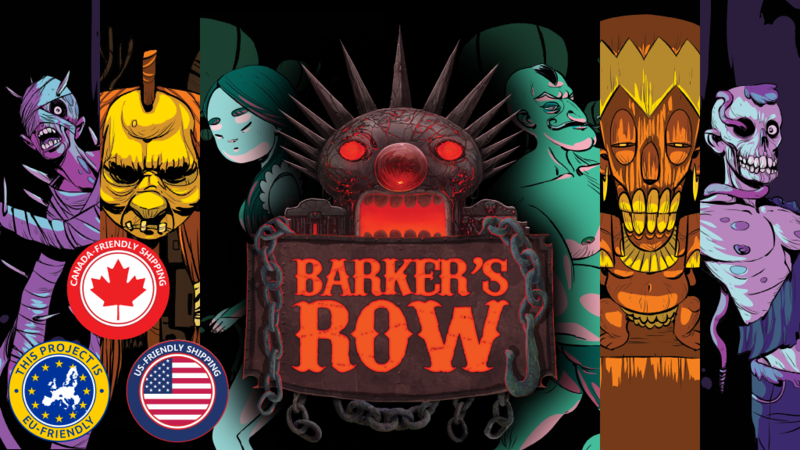 That's what you'll be doing in Barker's Row, a new card game up on Kickstarter from Otherworld Games. Hire acts and look to be the first to fill your tent with spectators.